Hey! 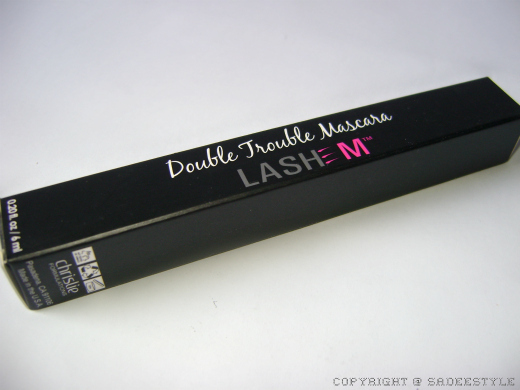 So today the product i'm reviewing about is called lashem double trouble mascara for longer voluminous looking lashes sent by LASHEM for a review which is actually a double ended mascara one for the volumoizing and the other one is for lengthening, good choice for those are not sure about which eye mascara they go with. I want to start out with a little info about the brand behind this product, LASHEM™ has been studied in clinical trials and has a dual-patented, gentle and non-irritating formula which is also 97% natural. LASHEM™ is dual patented, paraben free and prostaglandin free. Our products have not be tested on animals and is made in the U.S.A. 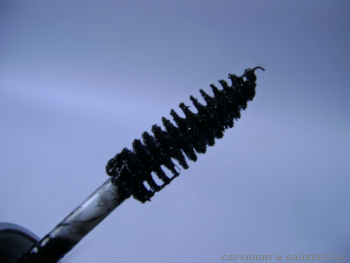 Flexible cotton fibers wrap around each lash like a tube to help thicken and curl lashes. 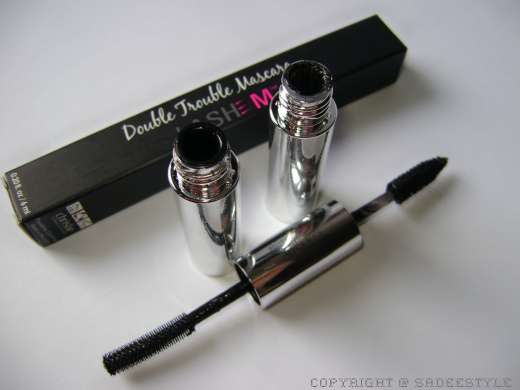 Beautifully designed double ended mascara comes in a black sleek packaging which looks so professional and stylish mascara tube is silver metal kind of thing instead of traditional plastic look, love the idea to give a modern look to mascara to look more stylish also you can notice the small embossed glitters on the tube which appeal the most.As this mascara have double ended applicator one for lengthening and other for voluminousness cause of long eye lashes i will start with voumlines one. 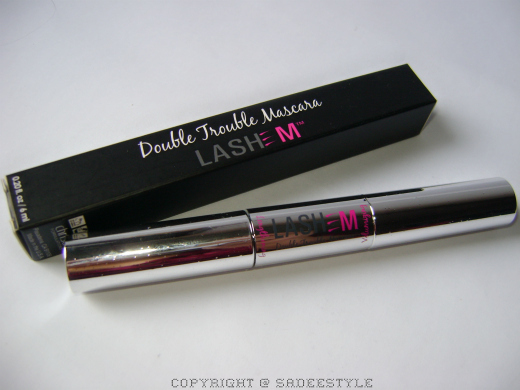 If you are a regular reader of SadeeStyle, must know that i have pretty long eye lashes i always go for Volumizing Mascara so will start with the Volumizing side first, as you can see in the image above Volumizing mascara's wand is quit unique made with rubber or plastic bristles which are flexible enough to give right amount of liquid on the lashes and it's dense and slightly spaced bristles gives space to every single lash and coat each single lash with mascara and trust me you will not find even one clumpy lash, i applied only one coat and noticed it lifted the lashes pretty well but did'n really vomulized the lashes as they described their product, however it's good product to give you a very light, fresh and sleek look and i admire not even single clumpy lash or falling flakes. Now to the lengthiness side of the mascara comes with a most tradition cotton fiber brush i applied just couple of coats and you can see the difference, yup nothing happens to the lashes they are still same very big disappointment. 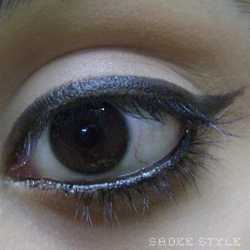 It looks good on your lashes, but yeah it looks more suitable for daytime look! Awww. so sorry it didn't meet your expectations. But in the picture I think your lashes look great. Nice and long. ummmmm am not impressed u can find better ! 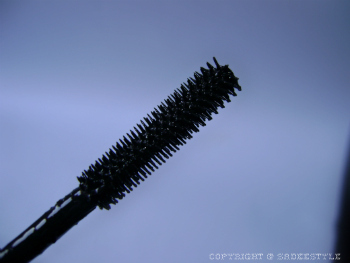 Nothing can beat a good mascara. I love it, you've got beautiful lashes!!! I love this!thanks a lot!